Kudos to Hospice of Central Ohio volunteer Marilyn Dresser (pictured, center) who was recently honored with the Hospice Caregiver Award by Schoedinger Funeral and Cremation Service. The awards are designed to recognize hospice caregivers who provide patients and families with wonderful care and compassion. 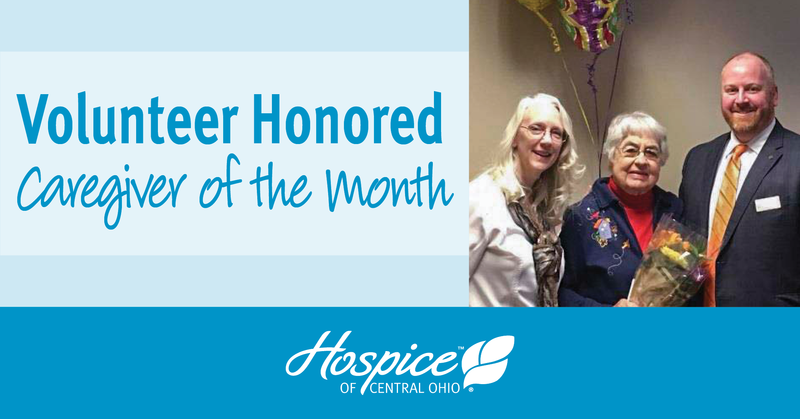 We are grateful for Marilyn’s support and value her many contributions to the Hospice of Central Ohio mission.